Humanitarian intervention is rising ever higher in international relations discourse, with many publications exploring the nature, legality and success of these interventions. However, less attention is given to what happens after an intervention. 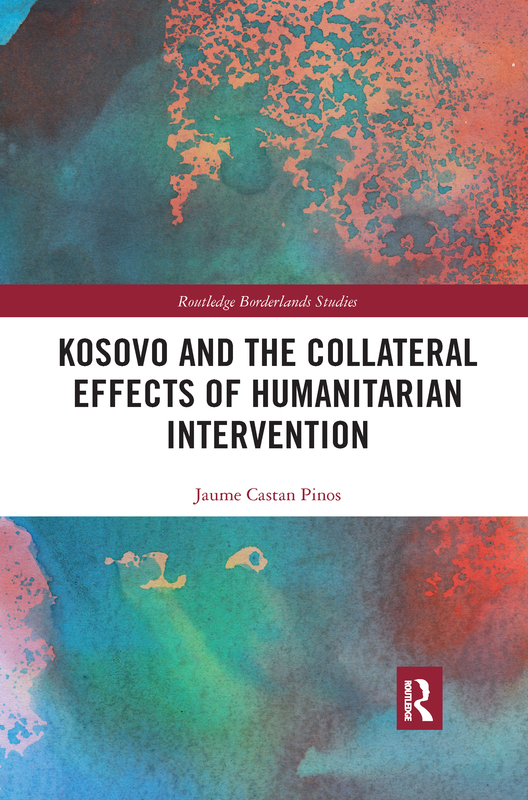 This book looks in particular at the implications for territorial and border relations, exploring the case of Kosovo, which in many ways can be seen as a turning point in post-cold war international humanitarian intervention. The 1999 intervention has had significant consequences for Kosovo in terms of political transformations, territorial alterations and enclavisation, none of which was officially intended or foreseen when NATO intervened. Two decades after NATO’s intervention and a decade after unilaterally declaring independence, Kosovo continues to be confronted with daunting existential challenges that inevitably affect the stability of the region, border relations, and the credibility of the organisations operating within Kosovo, namely the UN, the EU and NATO. The book claims that not only is the political and territorial conflict far from being settled, but that the implications have gone beyond Kosovo, creating shock waves which have galvanised conflicts elsewhere. In effect, Kosovo has been used as a pretext, as a legitimation and as an inspiration for those who aspire to challenge the border status quo. The book is primarily aimed at undergraduate and postgraduate students of International Relations and Political Science and as well as Border Studies scholars, but will also appeal to researchers focusing on state-building, peace-building, humanitarian studies, nationalism/secessionism and Balkan studies.